If you’re looking to buy a new camera on a budget, there are a number of ways to make your money go further. We take a look at what they are, and reveal how much they could save you. If you’re in the market for a new DSLR or CSC and have a fixed budget, you might be surprised by just how further your money will go if you’re prepared to do a little research and shop around. Sure, you can always blow your entire budget on a brand-new, mid-level camera in a sealed box, but how about using that money to purchase something that will provide you with an enhanced feature-set and a greater range of controls – something that will give you more room to advance your photography skills? If you know where to look, you can undoubtedly make your money go a lot further without getting tied into a lengthy credit agreement or putting a big dent in your credit card. That’s because the digital camera market is awash with plenty of great, albeit slightly older, camera models that boast all the advanced features and cutting-edge technology you’d expect to find in a modern digital camera. Because new camera prices generally drop quite quickly and then sink even further when a new model is announced, buying models that have been around a year or two can save you literally hundreds of pounds over buying the very latest version, usually without sacrificing too many ‘must-have’ features or any great loss of image quality either. Hunting down refurbished or ex-demo models, meanwhile, can save you even more. Buying secondhand is an even better way to get more for less, with many top-end cameras able to be picked up in excellent condition for a fraction of what they cost new. While we can understand the appeal of buying something shiny and new, buying secondhand needn’t necessarily take the gloss off your purchase, either – especially if the camera in question is in mint condition and comes in its original box with all the original accessories present and correct. In any case, once you’ve owned a secondhand camera for a week or so and taken some great images with it, chances are you’ll forget it ever belonged to someone else anyway. When inspecting a secondhand camera you’ll want to study the corners of the body closely for scuffs, which can indicate heavy use. The secondhand camera market is a great way of upgrading and improving your equipment without paying top dollar. The savings on offer can be huge. For example, the 36.3MP Nikon D810 was launched towards the end of 2014 with a RRP of £2,700, which has since fallen to around £2,350. Looking online, we’ve found secondhand examples in mint condition for under £2,000 – a useful saving of around £400 on buying new. 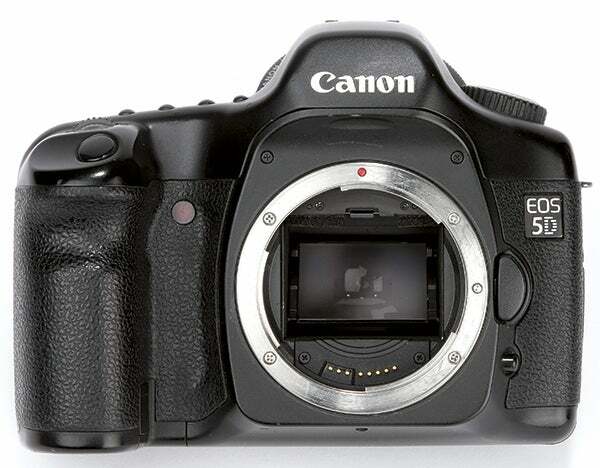 Similarly, while the Canon 5D Mark III still commands a body-only price of around £2,250 when bought new, secondhand examples in good condition can be found for as little as £1,500 if you’re prepared to shop around and aren’t bothered by a few cosmetic marks or scuffs. Of course buying secondhand cameras isn’t by any means a risk-free endeavour, so it definitely pays to know what to look out for before handing over any cash. Broadly speaking, there are two ways to buy secondhand – via a specialist camera shop, or via a private sale on eBay, Gumtree or similar. The first option significantly lowers your chances of getting ripped off, but does come at a higher cost than buying privately. Buying privately, on the other hand, is the cheapest way to obtain pre-owned equipment but carries a higher degree of risk – especially when distance prevents you from making a proper physical examination of the item for sale. If you decide to buy via a camera specialist, our advice is to stick with one of the reputable firms. This includes companies such as WEX Photographic, Camera World, Park Cameras, Grays of Westminster (Nikon only), Camera Jungle, MPB and the London Camera Exchange. Reputable specialists like these will generally offer a short guarantee on all secondhand cameras – usually for a period of three to six months. This is in addition to any consumer protection rights you are legally entitled to – always be sure to check your chosen retailer’s returns policy in advance of buying anything. One of the big advantages of buying from secondhand specialists is that they employ a fixed grading scale that’s used to accurately describe the overall condition of the camera being sold. The most commonly used terms for this purpose are: ‘Mint’, ‘Excellent’, ‘Good’ and ‘Fair’. Mint condition describes an ‘as new’ camera that is scratch-free and in perfect working order. The term ‘Excellent’ describes a camera in perfect working order, but with a few minor cosmetic marks. ‘Good’ describes a camera that has been well looked after, but which shows some obvious signs of use. Fair condition, meanwhile, is used to describe a camera that is in good working order but which bears obvious signs of use and age. In almost all cases, the retailer will have checked the sensor for dust and cleaned it if necessary. In addition to an overall condition rating, most secondhand specialists will also provide the number of shutter actuations the camera has made. This relates to how many times the shutter has been opened and closed, and is important to know because the wafer-thin blades that make up a camera’s shutter mechanism have a limited lifespan, after which expensive repairs will be required. Knowing a camera’s shutter count not only provides a good idea of how heavily it has been used by the previous owner, but also gives an indication of how much life is left in it. Some manufacturers provide specific information on shutter count testing for each of their models, but others sadly do not. The life of a DSLR shutter mechanism is tested by a manufacturer prior to launch. The average shutter count is 150,000 actuations. One other thing to bear in mind with buying secondhand through a specialist is that if you have any old equipment lying around that you no longer need, you may be able to part-exchange it, which will help to reduce the overall cost. You won’t get as much as you would through a private sale, of course, but neither will you have to go through the hassle of creating a listing, selling it and then posting it on. 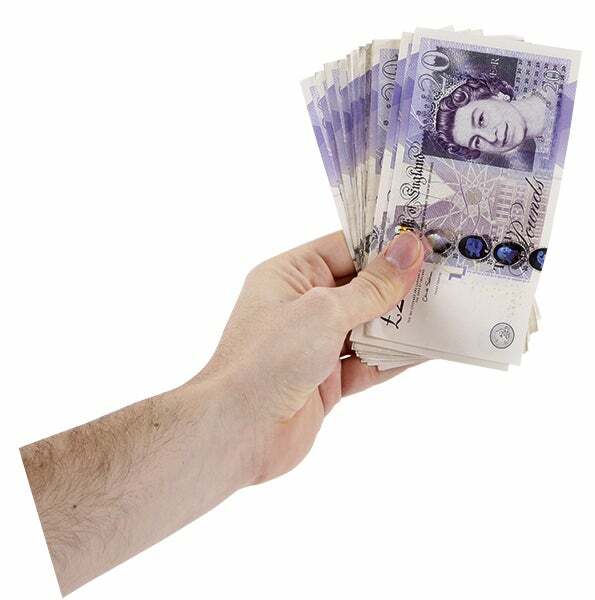 If you decide to buy privately, then ideally you want to check over the camera in person before handing over any cash. Look out for tell-tale signs such as a worn lens mount or loose buttons, both of which are good indications of heavy-handed use. You should also check the battery compartment for signs of battery leakage and to ensure that all the connector pins are present. If it’s an older model, you might also want to check online to see if you can still buy a spare battery for it. Likewise, check that the pop-up flash and memory card slot(s) are both in working order. While a few scratches or abrasions aren’t likely to be any great problem, any camera with a pronounced dent in it is best avoided because this suggests it has been dropped. If you can it’s also worth checking the sensor for dust. This can be done by either photographing a sheet of white paper with a small ‘X’ pencilled on it for focusing purposes, or even by pointing the camera towards the sky on a clear day. Once you’ve captured such an image turn on the rear display and zoom in, inspecting it for signs of dust. If there’s anything substantial on the sensor then you should be able to use it as a bargaining chip to help reduce the price. Of course, given the nature of long-distance online sales, physical inspections aren’t always possible, in which case you’ll have to rely on the integrity of the seller to a large degree. Check their previous feedback if possible and prepare a list of questions to ask them, such as shutter count, overall condition and the reason for sale. Be wary of any sellers that use generic product images as opposed to photos of the actual camera they are selling. Honest sellers will generally list any defects in the item description. However, less honest sellers rely on being deliberately vague in the hope you won’t ask any awkward questions until they have your money and it’s too late. Use some common sense and stay on your guard throughout the purchasing process. Another way to make your money go further is to hunt down an ex-demo or refurbished camera – just be aware that the two are actually quite different propositions. Ex-demo cameras are exactly that; cameras that have been used within a shop for customers to have a look at and play around with. While ex-demo models are rarer than secondhand and refurbished cameras, they usually come with a fairly decent discount applied. That said, unlike the majority of secondhand cameras that have had a single owner, many ex-demo models will likely have been manhandled by hundreds of hands. Be sure to inspect them properly and ensure that the seller backs the sale up with a guarantee. While the idea of a refurbished camera might conjur up images of cameras that have had to go back to the manufacturers because of some terrible fault, this is not always the case. In fact, many refurbished cameras are simply cameras that have been sent back to the shop from owners suffering from buyer’s remorse. Legally, these cannot then be sold as ‘new’, and are often sent back to the manufacturer, who will service it if necessary and return it to an ‘as new’ state. 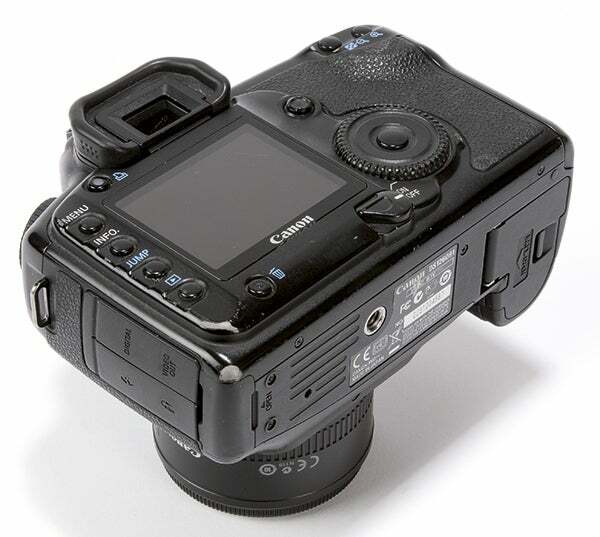 From here, the camera is discounted and sold on as a ‘refurbished’ model. The main thing to establish when shopping for a refurbished camera is whether the camera in question was serviced by the original manufacturer or not. If the camera was sent to a third-party service centre then, strictly speaking, it’s not a refurbished model and shouldn’t be sold on as one. Genuinely refurbished cameras generally come with at least a 90-day warranty, although some extend to 12 months. If you’d prefer to spend your money on a brand new camera, but still want to maximise your spending power, then you have two main options: wait a month or two for the launch price to drop and retailer discounts to kick in, or skip the latest release altogether and buy the previous generation model instead. Either option will save you a good chunk of money over paying the full launch-day price – the only issue is whether you have the patience to wait, or the pragmatism to buy a slightly older model. Either way, rushing out to buy a camera the day it’s released will always end up costing you more. With the odd exception (usually high-end DSLRs where demand initially outstrips supply) the price will almost invariably drop after a month or two as retailers begin to apply discounts to help shift their stock. This discounted price often drops even further once a newer version is announced, as retailers look to clear their shelves of older models. For example, the Nikon D5300 plus 18-55mm kit lens was initially priced at £830 when it was released at the end of 2013, but can now be bought for around £490. By comparison, the newer D5500 will currently set you back around £600 – which is already £80 cheaper than it was earlier in the year when it first hit the shops. Buying a slightly older model doesn’t have to mean unduly compromising on features, performance or image quality either. 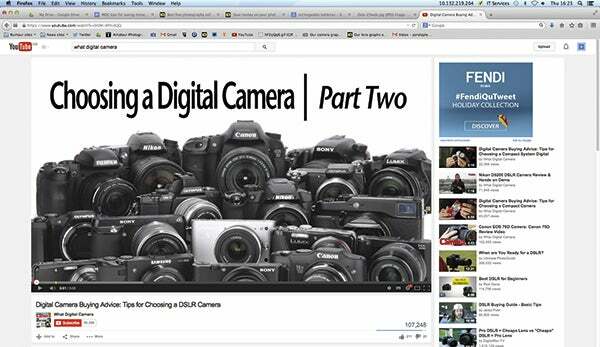 The digital camera market is full of excellent cameras and has been for a number of years. While buying the very latest model might gain you an additional frame when using the camera in burst mode, or perhaps another stop of ISO sensitivity, or a slightly sharper rear LCD display, big fluctuations in image quality from one model to the next are much more rare. If you use Google shopping to check prices (and, let’s face it, we all do) you’ll be struck by how some companies appear to offer significantly lower prices than the main retailers do. The reason for this is that they are offering grey imports. This means they are selling cameras manufactured for Asian or US markets and priced accordingly, usually with a UK three-pin plug included. While the savings are undoubtedly tempting, we’d generally advise against grey imports – especially for expensive purchases like camera bodies and lenses – primarily because warranty issues can often arise. While many grey import sellers claim that a ‘worldwide’ warranty is supplied with their products, you don’t have to search particularly hard on the numerous internet forums to find stories of disgruntled customers having to ship faulty goods back to Hong Kong at considerable personal expense to have their issues rectified. If you’re determined to buy a brand new camera in a sealed box, then one thing that’s always worth looking out for is promotional offers from the manufacturer. These often take the form of cashback offers if you buy a particular camera and lens combination, and can sometimes be quite generous. You’ll usually need to register your camera in order to claim the promotion, and the cash often comes on a pre-paid debit card rather than being paid directly into your bank account. To find out more about current promotional offers and discounts, you’ll need to search the manufacturers’ individual websites. 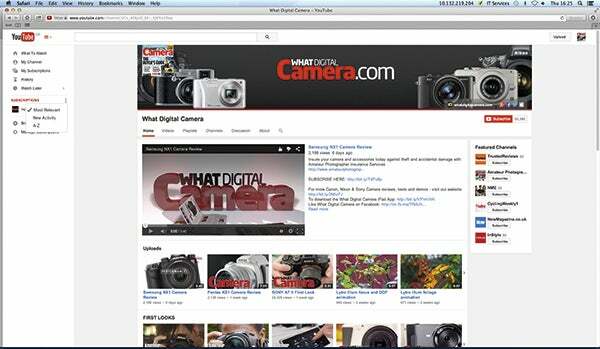 Visit www.whatdigitalcamera.com for more buying advice.